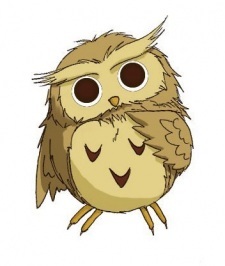 Watari's little owl. She is always perched on his shoulder, often claps at her master's inventions when no-one else does. Her room-mates are #001 and #002, a penguin and a toucan who usually stay in Watari's lab.